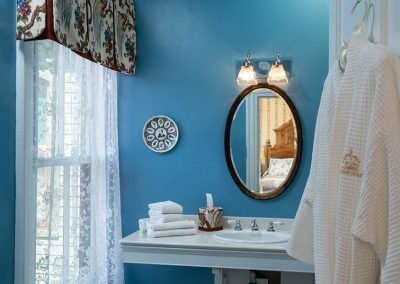 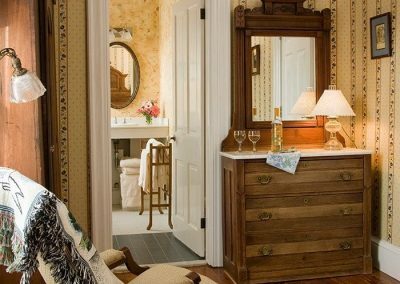 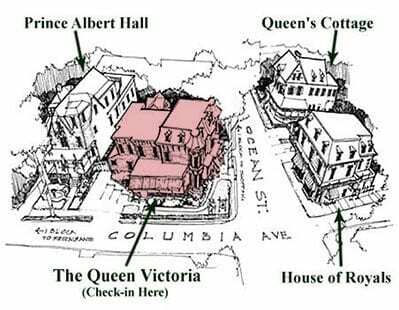 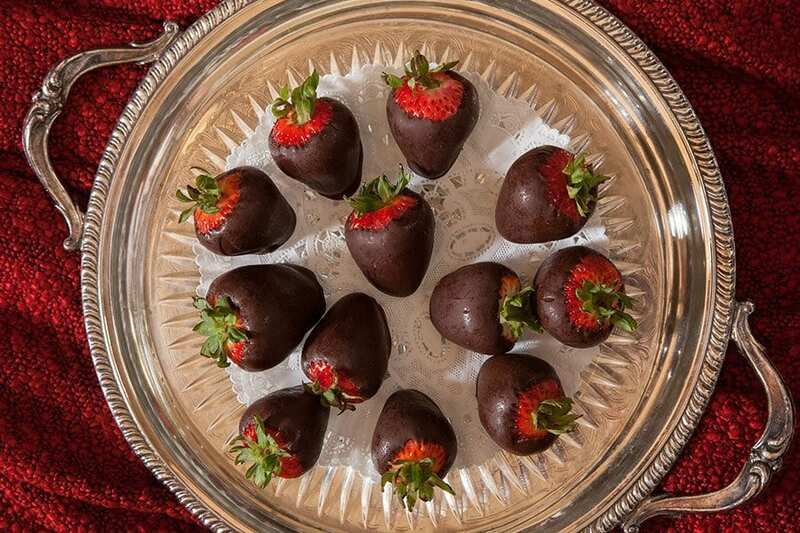 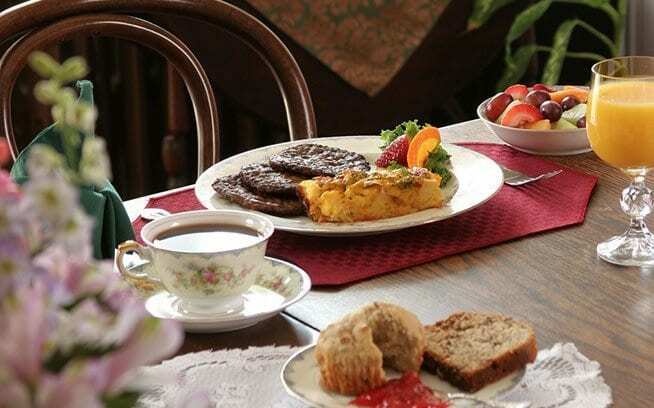 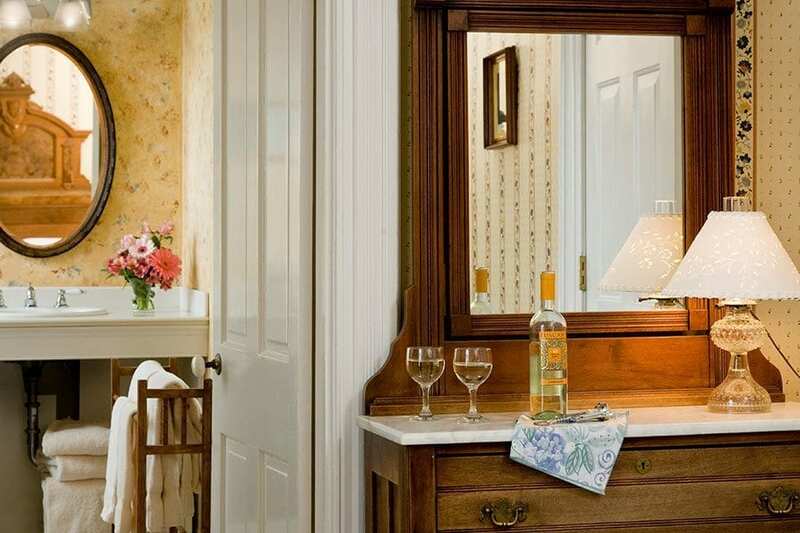 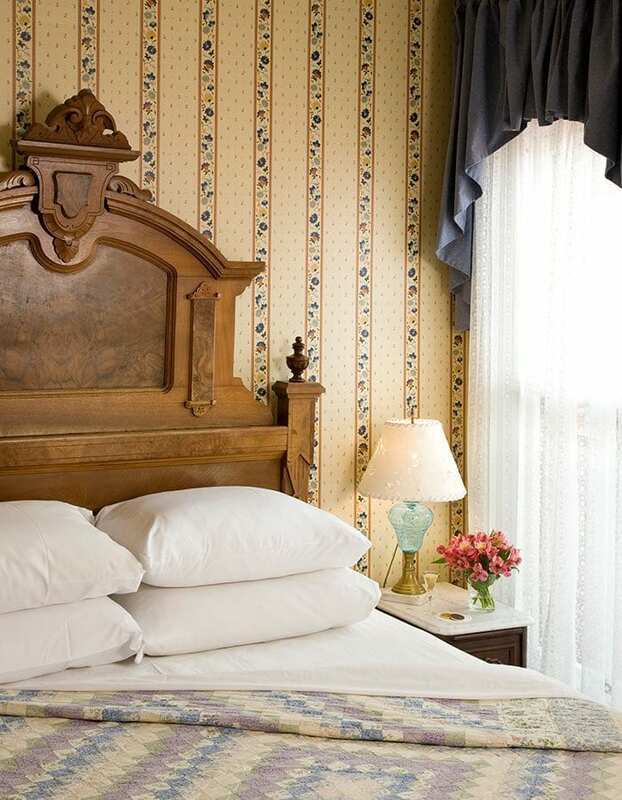 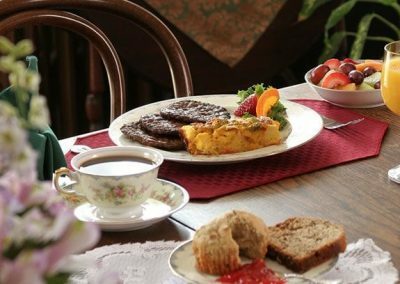 Charles Dickens is the largest of our standard rooms located on the second floor of the Queen Victoria building at our bed & breakfast in Cape May. 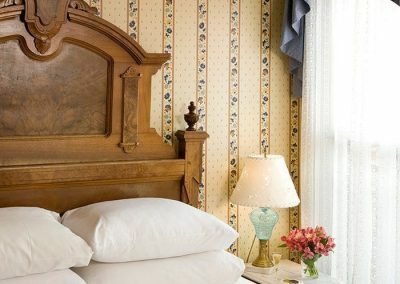 With a wonderfully comfortable bed wrapped in our ironed premium sheets and covered in a wonderful premium quilt it is the spot for relaxation. 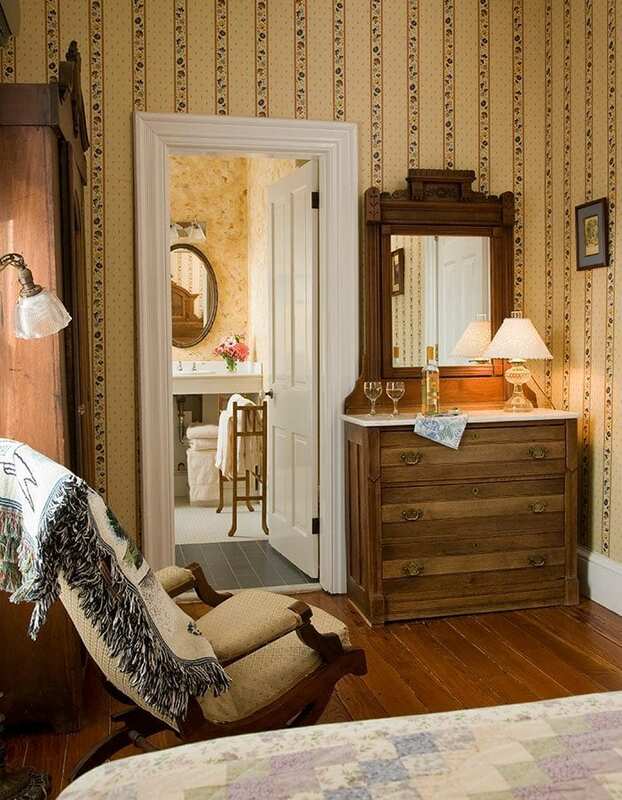 This room is filled with period antiques including the interesting Victorian headboard (look for the wood grain pattern), antique dresser and armoire. 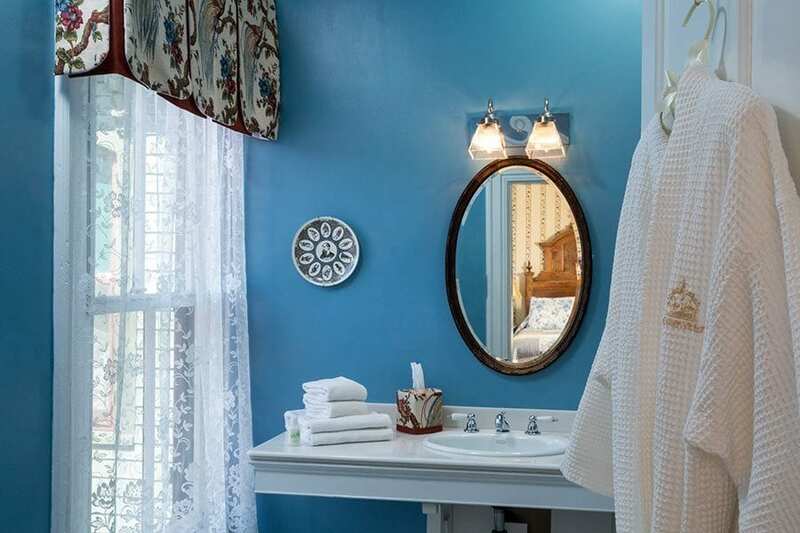 The generous bathroom features a walk-in shower and a beautiful, large marble counter-top. 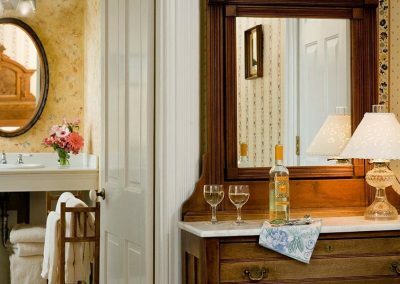 Charles Dickens has individual climate control, a television with a DVD player, a mini refrigerator, a hair dryer and an iron with an ironing board to make your getaway a comfortable and memorable one.